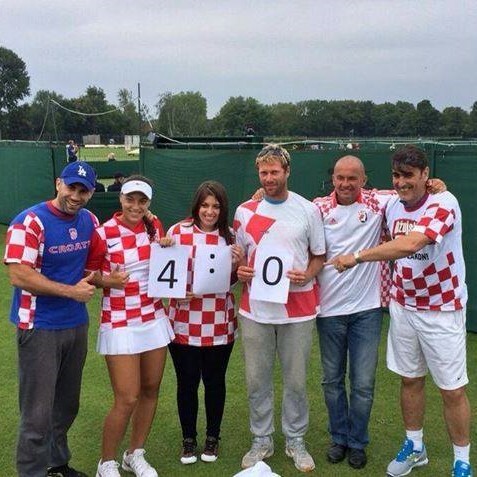 Born in Dubrovnik in Croatia, Ana Konjuh, who will soon play Indian Wells qualifying, has very nicely taken some of her precious time to answer some questions for this blog. 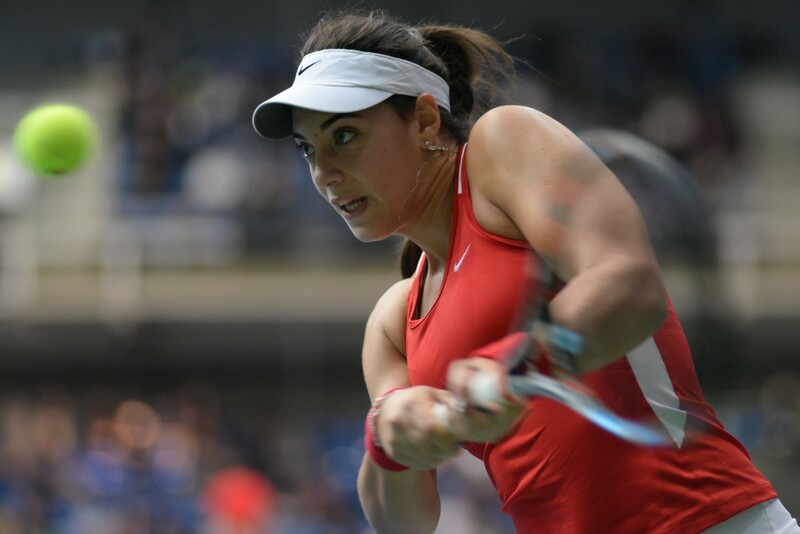 Breaking into the top 100 in 2014, Ana Konjuh is for sure one of the most promising and talented player of the WTA tour. If she is currently the youngest player of the top 100, her young age (17) is not always an advantage, as she explains it in this interview where she also talk about her famous tattoo, her game and her admiration for Roger Federer… So don’t waste a single minute and let’s get to know Ana Konjuh, a star in the making ! My older sister played tennis and I was going with her on practices. At first, I was just having fun collecting balls. But after a while I fell in love with tennis, and then I started practicing for myself. How would you describe your playing style, what are your strengths, and which compartment(s) of your game do you think you still need to improve the most ? I am an offensive player, so I like to be the »boss » on the court. My backhand is pretty good and my serve too. But I need to improve on everything, I am still young and I have time to experience all kinds of different things. 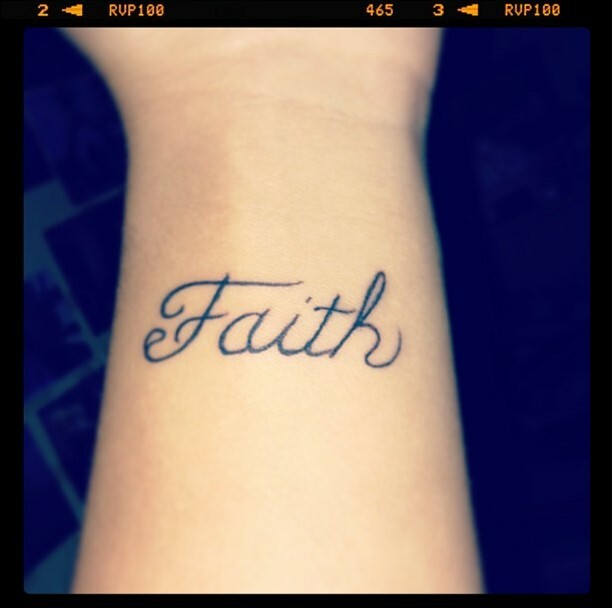 What can you say about your left wrist tattoo that reads “Faith”… What does it mean to you ? Yea, I got it after I won the Australian Open in 2013, it means a lot to me. Not just to have faith in myself, but also in God, my family, my friends… I think faith is what keeps you going. If I’m right you are a huge fan of Roger Federer… What do you admire about him ? And is it true that you don‘t want to talk to him before you win something big ? Haha yes I am ! A huge one ! I admire everything about him haha , he is the God of tennis if you ask me. And yes that‘s true, when I will have make a name for myself, that‘s when we will talk haha ! 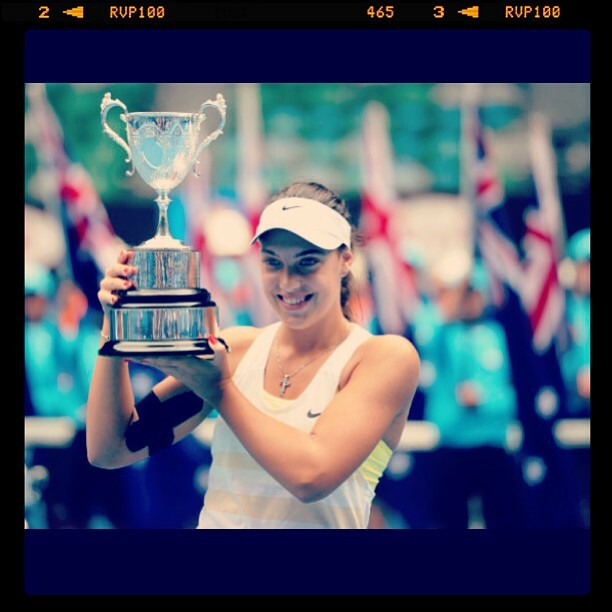 Iva Majoli recently said « she has that something that champions have » speaking about you… It’s a big compliment. I heard that you and your Fed Cup captain are very close… It should give you a lot of confidence to be supported by such a champion like her ? Yes it is, I am really glad to have her by my side, we get along pretty good and It means a lot to hear something like that from such a champion. What do you think of the International Tennis Federation’s age eligibility rule ? I mean isn’t it a problem for a young player like you who wants and needs to gain experience and points ? I think it is a problem, especially if you want to play tournaments and experience all those things on the tour. But instead of it, you are limited and you have to much time to practice whereas in that time you would need to play matches and gain points. What are your favourite surface, tournament and city ? My favourite surface is grass, my favourite tournament is Wimbledon and my favourite city is New York ! What do you like to do to relax in your spare time ? I like listening to music and watching movies, and mostly I just hang out with my friends. And to finish, if you could asked three wishes to the Genie, what would they be ? I wish I could go to space. If you want to follow the latest news about Ana Konjuh here is her official website. You can also support her via her official Facebook and / or Twitter accounts. 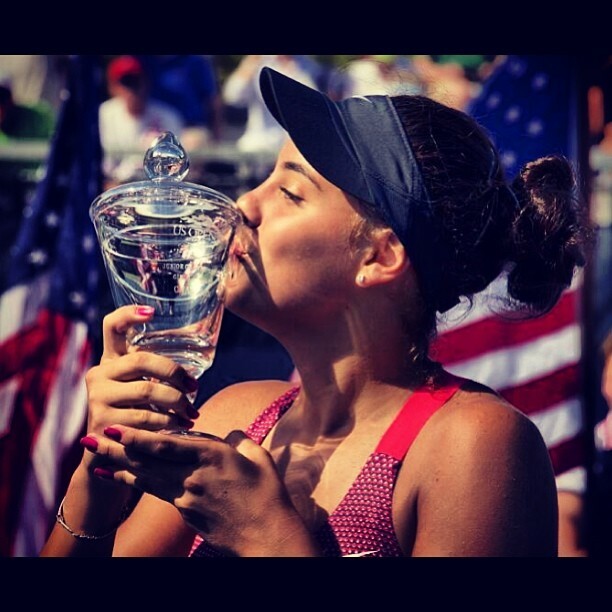 Ce contenu a été publié dans Les autres joueuses par Tennisandco, et marqué avec ana konjuh, ana konjuh interview, ana konjuh pictures, getting to know, interview, itf, konjuh, news, off court, on court, pictures, Q&A, questions, WTA. Mettez-le en favori avec son permalien.